Welcome to the Governors' pages of College Town Primary School. The purpose of the Governing Body is to maintain and improve the quality of the education and standards of achievement in the school. Please see the details below for full details of our governors, their roles within committees and biographies. 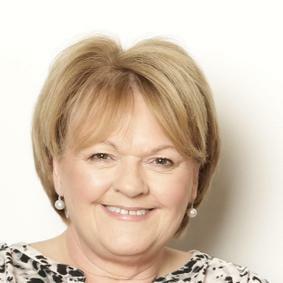 Rita was appointed as a Bracknell Forest Local Authority governor in 2012. The Governing Body elected her as Chair of Governors in 2014. Rita’s whole career has been in education until she retired as Assistant Director of Education with Service Children's Education (SCE). In this role, she was a member of the Executive Board with specific responsibility for the quality of teaching and learning, which included aspects of leadership and management in SCE schools world-wide. Prior to this, Rita was a head teacher in schools in Nottinghamshire and Germany where she had the opportunity to work with the staff team to move them from underperforming to outstanding schools. 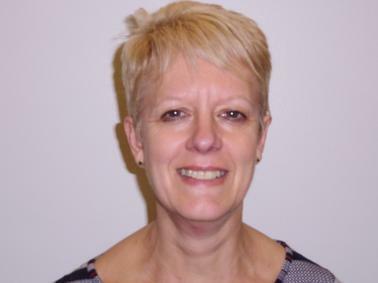 Rita has also worked as consultant head teacher and link inspector advisor. Even though Rita is retired, she retains her passion for education and making a difference for all children with a special interest in the needs of the Service child. She believes she she is able to bring her skills and knowledge to strategically support College Town Primary School in their pursuit of excellence. Category of Governor: Co-opted Governor, Chair of Staff, Finance and Sites Committee. Tony has been a Parent/Co-opted governor at CTINS since 2011. Having previously held the position of Chair of the Governing Body, Tony is currently the Chair of the Staff, Finance & Sites Committee. 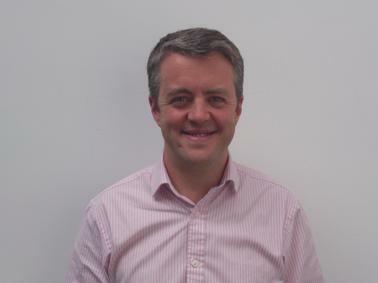 Tony is a qualified Accountant with over 15 years of experience in commercial finance in large blue chip organisations. He has 2 children, both of whom are current or former pupils at the CTINS and he is delighted to have been able to bring some of his finance experience to help develop the school in the past few years. Tony can often be found behind the BBQ's at the school summer fete. Jenny has been a Governor at CTINS since March 2011. She was initially elected as a Local Authority Governor and is now a Co-opted member. As well as being Vice-Chair, she is also Chair of the Curriculum and Pupil Well-Being committee. Jenny is a qualified teacher and has been working in that role for over 30 years At present she is teaching in a local Primary School. During her career Jenny has taught children from 4-16 years. Jenny has lived in College Town for 20 years and her children attended both College Town schools. Jenny enjoyed several years teaching in Early Years at CTINS. Jenny enjoys the role of Governor as it enables her to have a different insight into school from behind the scene. She has undertaken a few Governor courses to further improve her effectiveness in the role. Emma Batten has been a staff governor since April 2014. Emma has been a teacher at College Town Infant and Nursery School since 2009 and has taught in Nursery, Reception and Year One. She is also the Early Years Coordinator for the school. The experience of working within the school for a period of time has enabled Emma to share her opinions on how the school is working towards their targets. She is a member of both the Staff & Finance and Curriculum & Pupil Well-Being Committees. Toni has been a governor at College Town Infant School for 4 years. Her work as a supply teacher in Bracknell Forest area and, more recently, a permanent placement in a local primary school, allows her to use her skills to benefit the governing body. She has three children, two of whom are currently attending the infant school, whilst her eldest has moved on to the junior school. She has attended a number of governor training courses and find them to be interesting and extremely beneficial. She is a member of the Curriculum and Pupil Well-Being Committee. Trudi Sammons is the Headteacher of College Town Infant and Nursery School. She attends all of the committee meetings and has voting rights. Jo was co-opted onto the Governing Body of College Town Primary School in September 2018, having previously served as a Parent Governor at College Town Junior School. Jo freelances as an Event Manager and Event Safety Manager and is pleased to continue her support to the Primary School. Jo has two children that both attend the Primary School. Katharine Middlemiss has been a co-opted Governor since February 2016. She has two children, both of whom currently attend the school. Her husband serves in the army so she has a particular interest in representing the needs of the service families and their children. Katharine spent 8 years working in the Education Department at Westminster City Council, so has lots of experience in ensuring that all children have fair access to a quality education. Katharine likes to keep active in her spare time and used to like running until her knees started to hurt too much so now contents herself with swimming, walking and tennis. My husband Karl and I moved to Crowthorne in 2004 and bought our first home in Owlsmoor in 2005. We have spent the past 13 years living happily here and raising our family. We love the local area. I am a Mother of 3 children, 1 of which attends College Town Primary school. Having previously worked as a Teaching Assistant and in day Nurseries, I am now an Ofsted Registered childminder. I work with lots of families within the local community. This is my first Parent Governor role and I am enjoying it. David has been a Co-Opted Governor at the School since 2012. Having graduated Royal Military Academy Sandhurst, David spent a decade in a variety of operational roles, retiring at Major to take up a career in Human Resources. A Chartered Practitioner in in HR, and also Fellow of the Chartered Institute of Purchasing and Supply, David has worked in global roles for a large Outsourcing Provider and running global HR teams in both Credit Suisse and UBS before undertaking his current role as Chief Operating Officer for the Outsourcing arm of Europe’s largest Recruiting and Talent Management firm. David is an avid Welsh rugby supporter, a frustrated golfer and father to two boys at College town Primary.